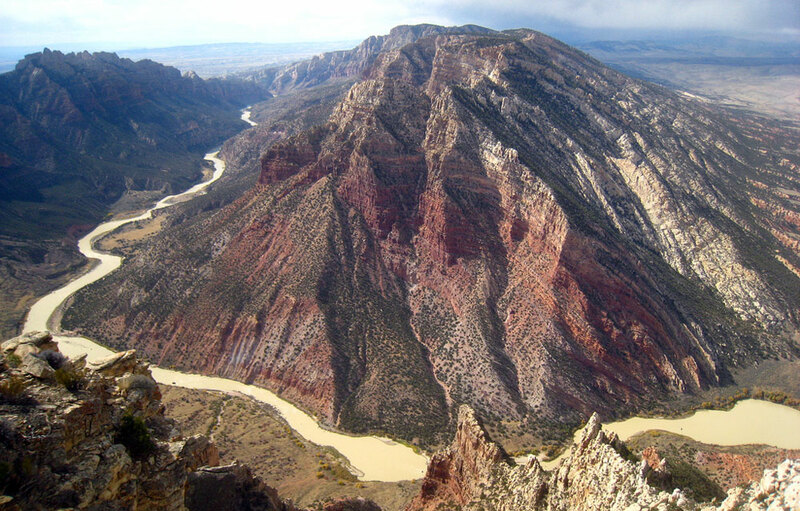 On the northwestern edge of Colorado in Dinosaur National Monument, a 2,500-foot gash known as the Yampa River Canyon winds through sky-scraping red-sandstone cliffs that was virtually unexplored until 1928. Thanks to those first explorers who paddled the river and shared their stories and photographs, Yampa River Canyon became the object of preservationists, ultimately leading to a presidential proclamation by Franklin D. Roosevelt to name the 210,000-acre river corridor a national monument in 1938. 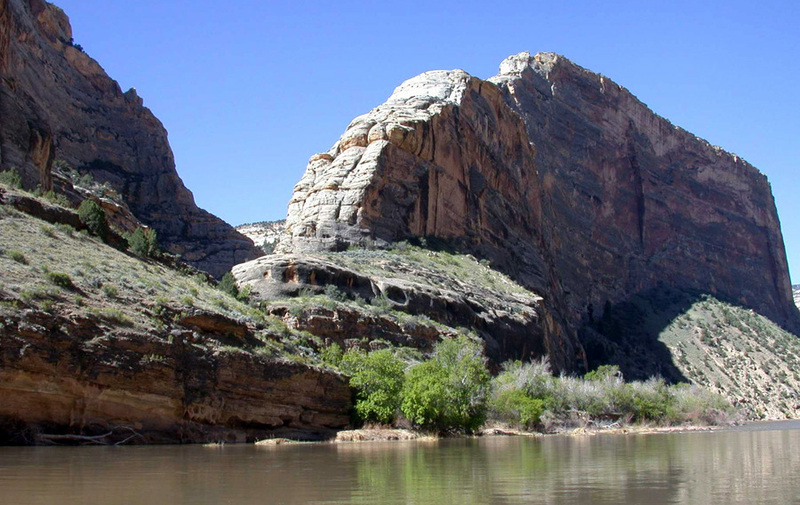 The publicity also enticed thrill-seekers to plan a ride down the river through Dinosaur National Monument solely for recreation. This was the beginning of Colorado’s whitewater rafting industry. Today, you can still float down the Class III–IV Yampa waters, as well as the Green River (also found within the monument), with several outfitters or get your own permit through a lottery system; however, availability is limited so competition is fierce. • Popular hiking and biking trails start near the Canyon Visitor Center, and there are many scenic places with picnic areas. • Backcountry camping opportunities abound for experienced backpackers. • Fishing and horseback riding are permited within the monument. • A network of scenic roads can also take you through the rugged country, including Harpers Corner Road, a 32-mile one-way drive with view of the Green and Yampa rivers. • The National Park Service offers free Junior Ranger and Junior Paleontology paleontology programs. Participants earn a free badge when they complete a booklet of activities. • Dinosaur remains can be found in the monument's red rocks; take a ranger-led hike to discover them. You can also see 1,500 dinosaur fossils still encased in the rocks they were found in at the Dinosaur Quarry Exhibit Hall. • There are also 1,000-year-old petroglyphs and pictographs in several areas of the monument. Left by the Fremont people, many of the designs are fairly easy to access. Take Hwy. 40 east from Dinosaur for two miles to get to Dinosaur National Monument’s Canyon Area Visitor Center (closed in winter). Pass the park headquarters building (open year-round) and follow Harpers Corner Road for approximately 31 miles where the road ends. Access the walking trail. Hike for about .5 miles to Steamboat Rock, which offers a beautiful view where the Green and Yampa rivers converge. 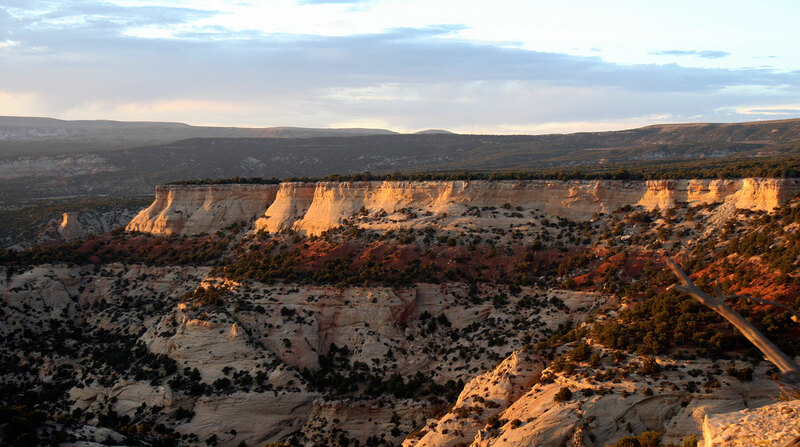 Learn about the state's seven other national monuments and discover where else you can see dinosaurs in Colorado.